This one was made so long ago I'm not even sure when... I just uploaded the picture to a post so I wouldn't forget it, but when it was time to hit "publish" I suddenly realised I hadn't actually written anything. Oops. 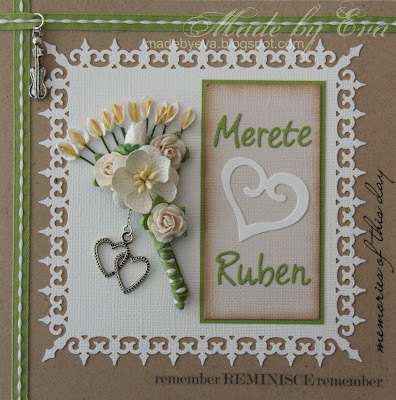 ;) Congratulations, Merete and Ruben, I hope you're enjoying your big day! I had a kraft paper addiction at one point, and teaming it with crisp white and spring green always looks great! I've got to go buy some more now, that's for sure. 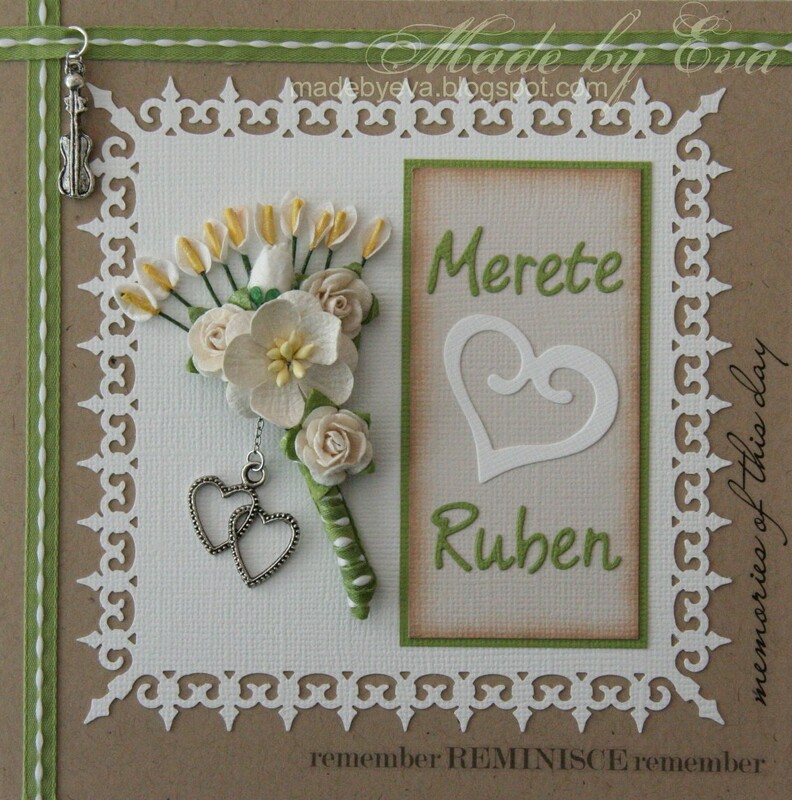 Other materials include the always wonderful MS border punches, Creative Inspirations rub-ons, QK heart and Phoebe alphabet, flowers and charms from stash.